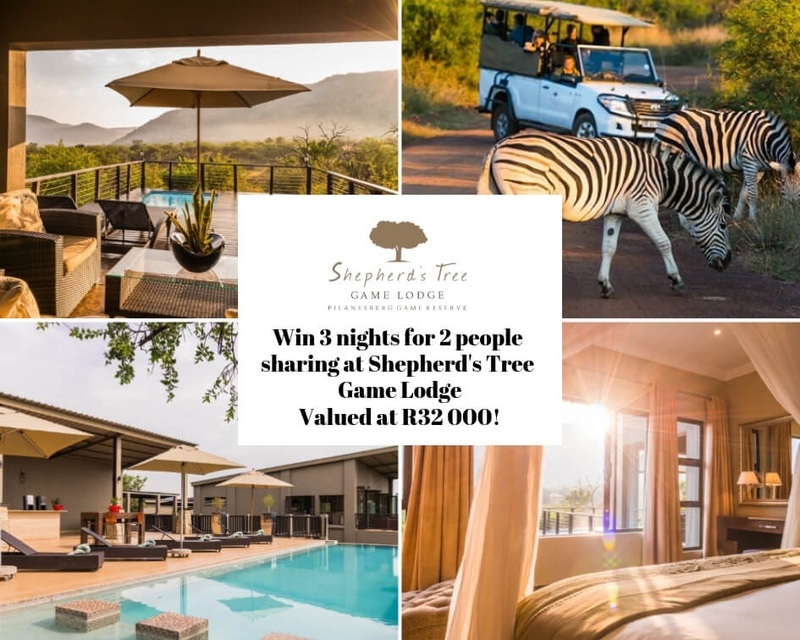 Escape at the luxurious award-winning Shepherd's Tree Game Lodge. Shepherd's Tree Game Lodge, is an award-winning 5-star lodge concession managed by aha Hotel & Lodges. It's located in the wildlife-rich Pilanesberg Game Reserve, in an exclusive-use zone in the South-Western portion of the 57,250ha reserve; awarded by the North West Parks and Tourism Board. The lodge offers 26 Standard rooms (or 13 family suites) with a patio overlooking the Pilanesberg Game Reserve. The main lodge is located adjacent to the suites. No detail is overlooked, with its striking interior designs and ultra-luxurious elements and a layout that provides outstanding views of the bushveld. Shepherd's Tree gourmet restaurant maintains its world-class standards by providing classic and contemporary cuisine. The lodge also boasts a conference centre, fully equipped to ensure that conferences, functions and events are handled seamlessly and provide for a maximum of 70 delegates. After a long exhilarating day, guests can unwind with relaxing health and beauty treatment from the Amani Spa, winner of the prestigious Les Nouvelles Esthetiques 2010 Spa Awards. The spa offers a unique spa product brand-Africology, made from the purest of ingredients, free from artificial preservatives, colouring and fragrances. Answer the following question: What is the name of the spa at Shepherd's Tree Game Lodge? Competition ends 31 January 2019. Winners will be selected from social media and email entries, announced on social media and contacted telephonically. T&C's apply. Charges in respect of all other services (including beverages, conservation levies and bed levies) provided by the lodge will be charged for in the normal way and will be for your own account and payable on departure. Transport arrangements and costs are not included in this prize. The prize is valid for 6 months from date of issue and is subject to the availability of rooms at the time of making the reservation and is not valid during "peak periods". It is essential that you make a prior reservation and that you mention the prize voucher which the winner will receive. The voucher is not transferable to a third party and may not be exchanged in part or in whole for cash or any other service provided by the lodge.